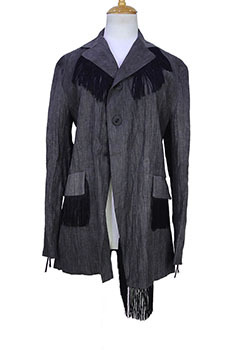 Barbara Bologna 'Fringe Blazer' in crinkled linen with black fringe detail. 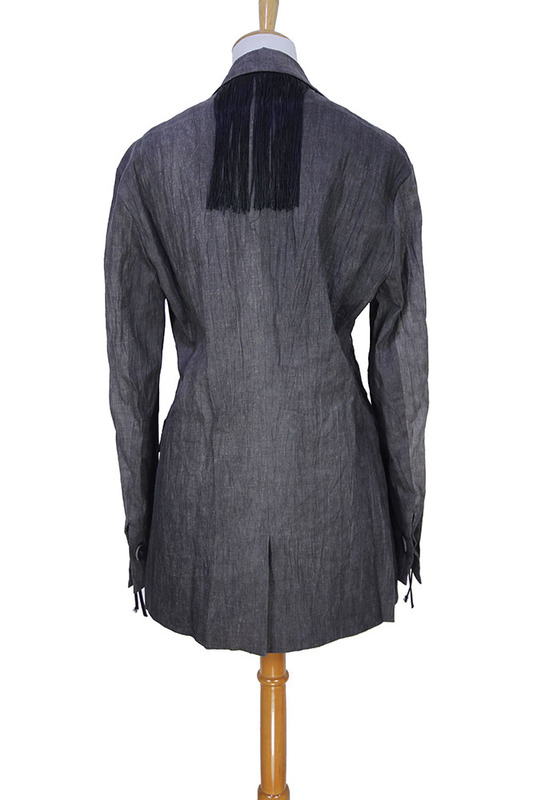 Lapels with black fringe detail. 2 leather button fastening. 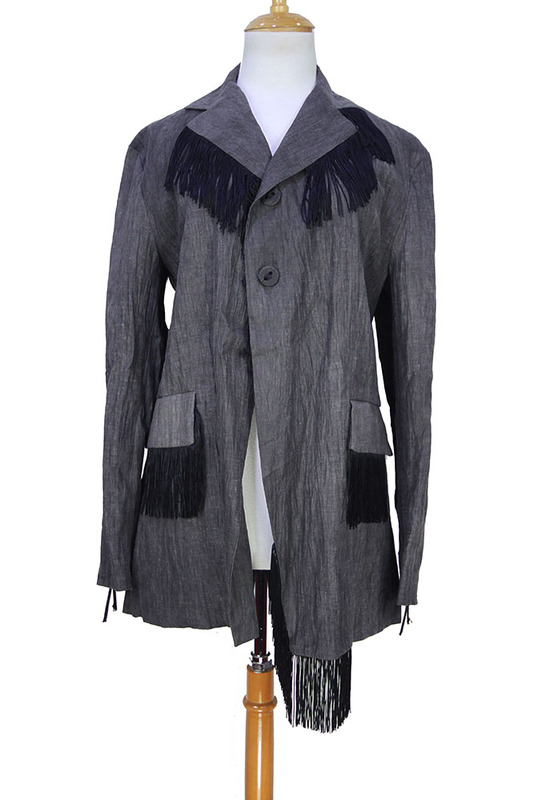 2 pockets with flaps and fringe detail. Fringe detail below neck at rear. Single central vent at rear. Fully lined. 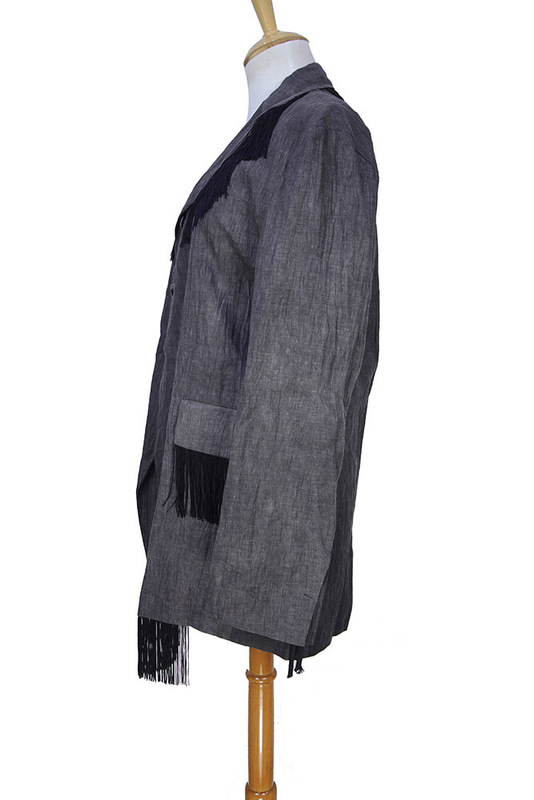 This stunning jacket goes with the trousers in the same fabric and fringe to create an extraordinary suit. Beautifully designed and constructed in a wonderful fabric. From the Burn Collection.